A single-car rollover crash in Oceanside left a Vista woman trapped and seriously injured, and her two young children were also hurt, police said Saturday. Two electrical boxes were smashed in the collision, which caused a power outage for 1,554 San Diego Gas and Electric customers. Almost 900 were still without power as of mid-morning Sunday. 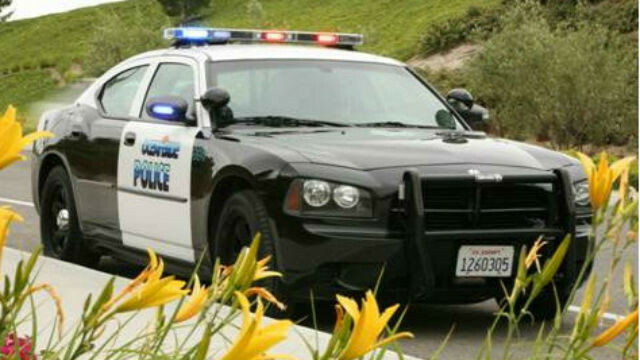 Officers responded shortly before 7 p.m. Saturday to numerous calls of a serious-injury crash on Shadowridge Drive and Ocean Hills Drive, according to Oceanside Police Sgt. Richard Schickel. That’s where they found a 37-year-old Vista woman trapped in the overturned car. Her two children, a 6-year-old boy and a 4-year-old daughter, had already escaped the wreckage on their own after seeing sparks from an electrical box that had been hit, Schickel said. Investigators determined that the driver was speeding south on Shadowridge Drive, left the roadway near Ocean Hills Drive, hit a light pole, two trees, two electrical boxes, then overturned. The driver, whose identity was not released by police, was trapped and suffered serious injuries but was expected to survive, Schickel said. All three were taken to local trauma centers for treatment. Investigators had not determined whether alcohol was a factor in the crash. SDG&E estimated that it could take up to 24 hours to restore the power if cables have to be replaced. The Oceanside Police Department’s Major Accident Investigation Team was conducting the investigation and asked anyone with information to call Accident Investigator Gabriel Cobian at (760) 435-4989.